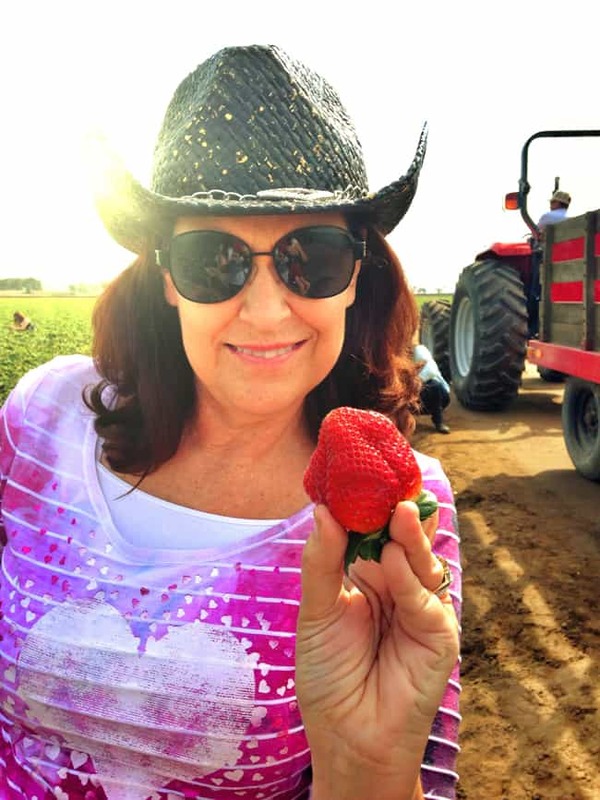 when California Strawberries invited me to the 365 Day of Strawberries Farm & Culinary Event, and to take a tour of a California Strawberry Farm, i would have to say, that i was beyond excited. to me, strawberries are the perfect fruit. when i eat a strawberry, there is something about it that makes me so happy….whether it’s the color, the taste or it’s smell, i’m not sure, probably all the above, but i just love them. 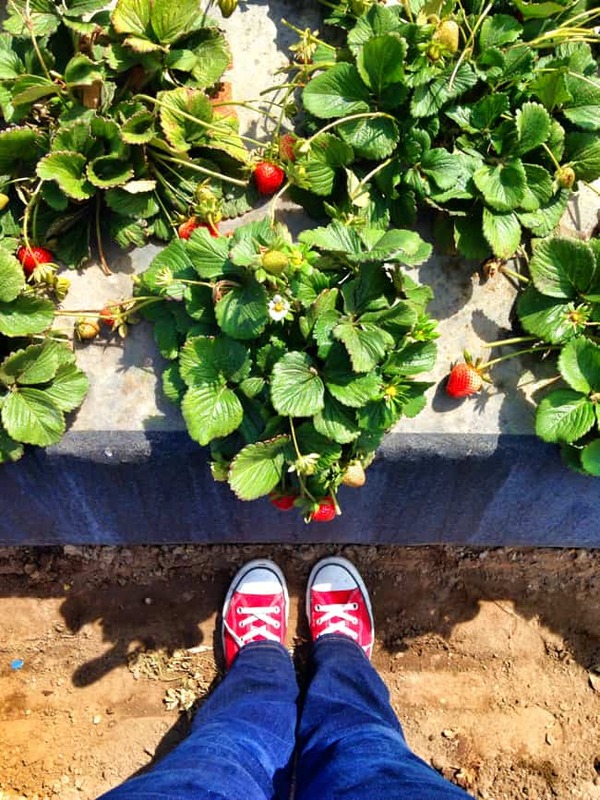 being able to tour a working farm to learn about strawberries, how they are grown, how they are harvested and where they go after being picked was a big treat. and besides learning about my favorite fruit (sorry watermelon), i was also able to experience the beauty of natures goodness in pure form. i mean, just look at these views. 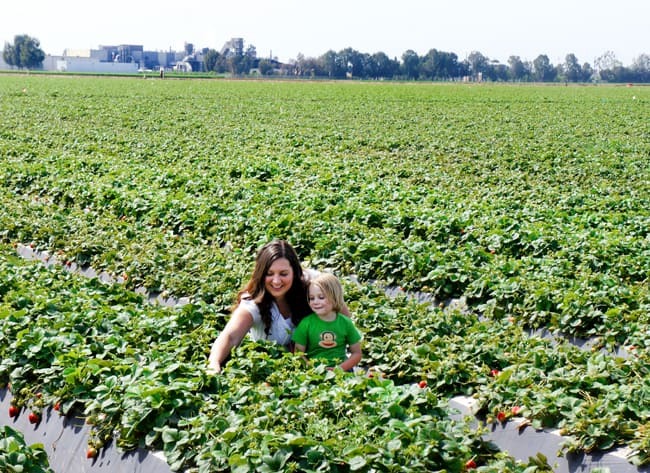 so myself, my littlest son Vann and my mom, headed up to Terry Farm in to Oxnard, California, where a lot of the California strawberries are grown. 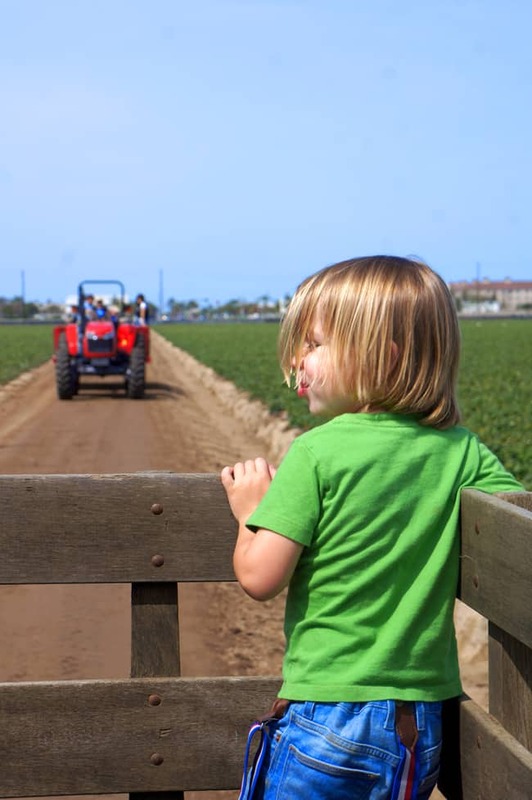 more than four hundred family farmers grow strawberries on approximately 40,000 acres from Orange County, all the way to the Monterey Bay. 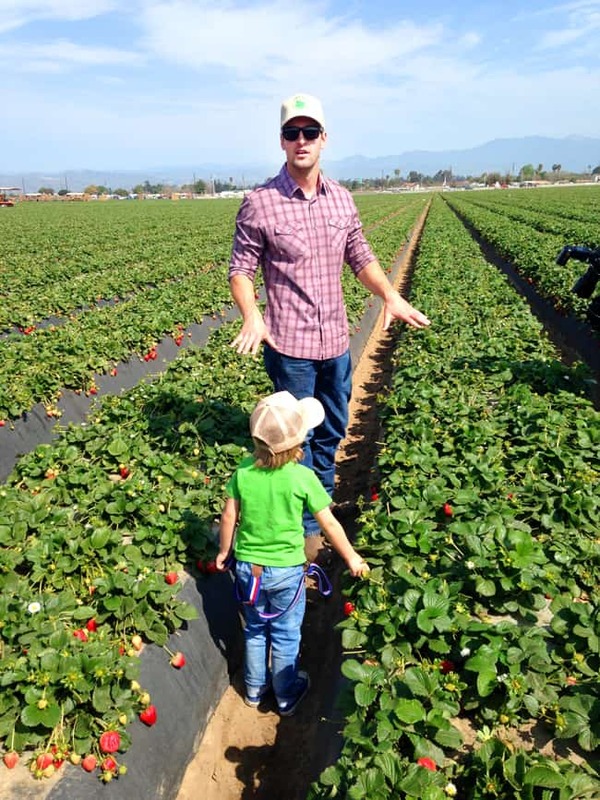 rich, sandy coastal soils, western ocean exposure and moderate temperatures, give California the perfect combination for a year-round strawberry growing season. yes, a 12 month growing season! we took a tractor pulled wagon around the fields and learned so many fun facts about strawberries. who would have thought there was so much to learn. we learned the importance of training the people who work in the fields and handle the strawberries to have the cleanest, germ-free hands possible. 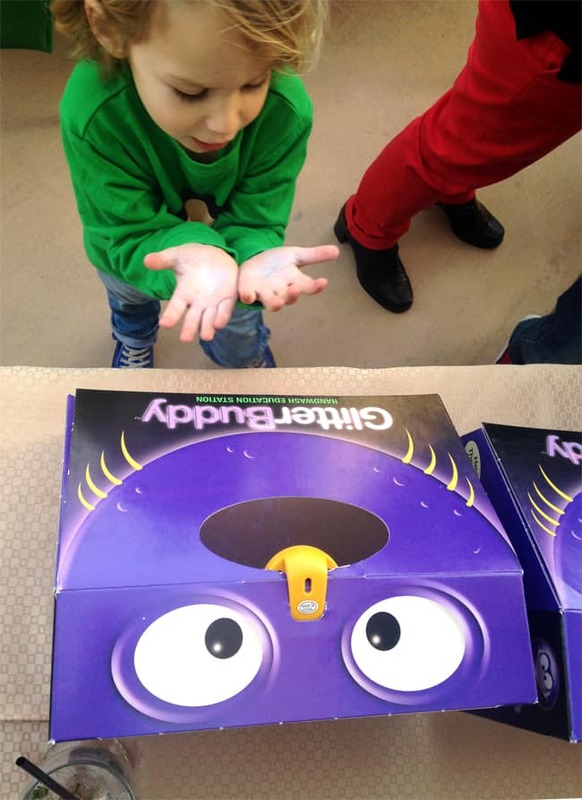 here is Vann using fluorescent particle infused soap to check if he removed all the germs and dirt from his hands. it takes a very thorough hand cleaning to make your hands clean enough to work with the berries in the field. clean hands are important to reduce the risk of disease from humans to food. this is William Terry, a fifth generation farmer teaching us how to properly pick a strawberry, how the fields are set up, and how the strawberry workers harvest the strawberries. workers at this farm are paid a minimum of $9 per hour with a bonus per box wage. with that bonus, the average worker is making around $22 per hour. 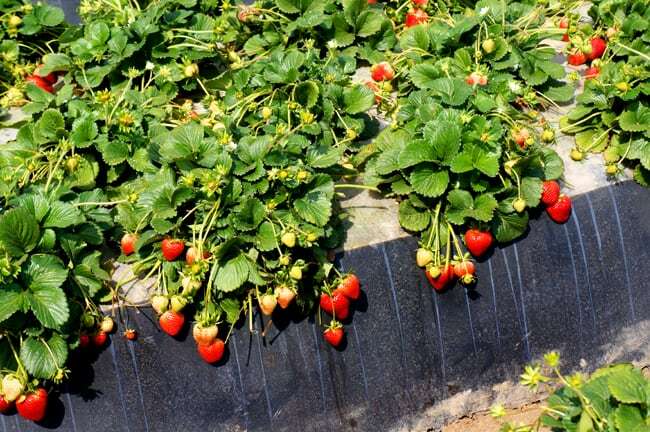 each row of strawberries are planted in mounds that are about 18″ high. this makes it easier to harvest the strawberries because workers don’t have to bend over as much, reducing back problems. the plastic is used to keep the mounds of dirt moist with water. if they dry out, the mounds would collapse. inside the plastic, there are laser cut strips of irrigation material that is placed every 6 inches along the row. this cuts down the amount of water used to water the strawberries significantly, and makes water usage very efficient. 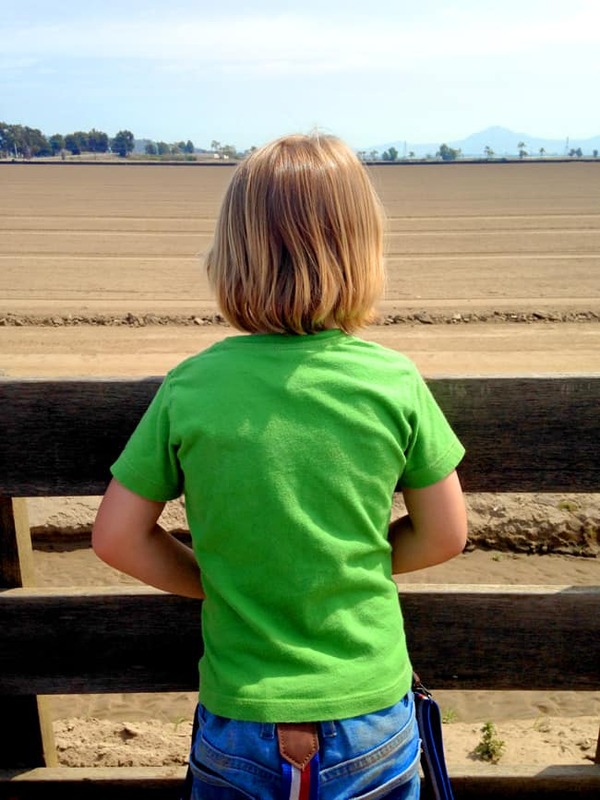 the fields are planted and then completely plowed and replanted twice a year, February and October. here are some fields that are getting plowed and prepped for planting season. in the fields we picked and ate so many strawberries. they are so delicious! here’s my mom…she enjoyed the strawberries as much as i did. nearly 90% of U.S. grown fresh strawberries come from California, with more than 1.7 billion pounds harvested annually. 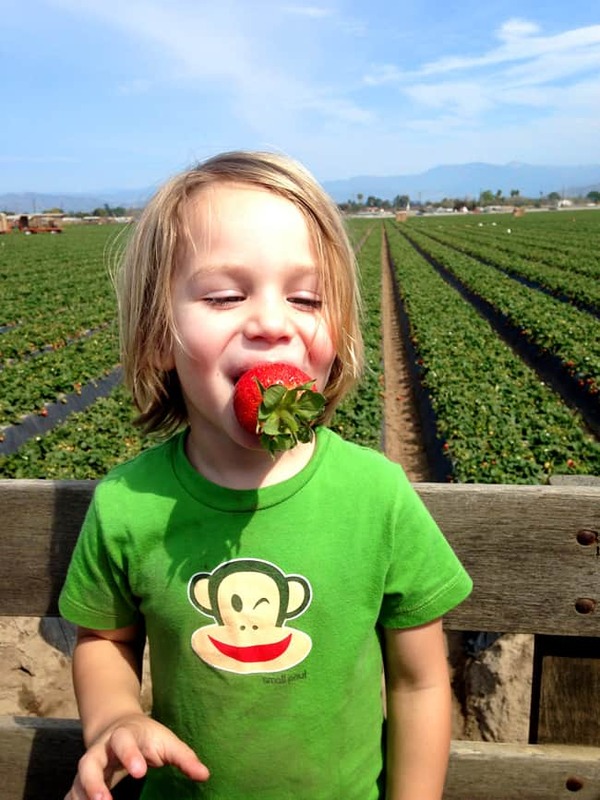 if California were a country, it would be the world’s largest producer of strawberries! Strawberries are a Superfruit 8 strawberries contain more vitamin C than the average orange. they are low in sugar, with only around 50 calories, and are a great source of fiber, folate and potassium. Strawberries are good for your health nutrients and phytochemicals in strawberries help maintain a healthy heart, boost memory, reduce total cholesterol levels and may lower the risk of developing some types of cancer. eating strawberries more than twice a week appears to delay cognitive aging up to 2.5 years, potassium found in strawberries can help control blood pressure and fight strokes AND the American Diabetes Association (ADA) has identified strawberries, as one of the top 10 superfoods for a diabetes meal plan. 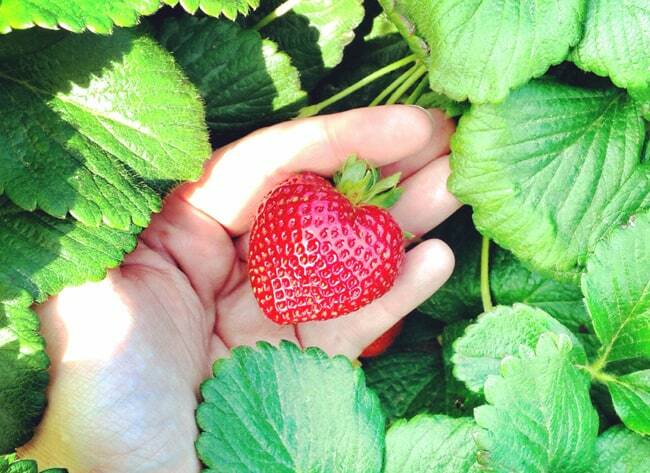 did you know that there is no such thing as a GMO strawberry? that is right, there are no genetically modified strawberries commercially grown and shipped. varieties of strawberries are developed for different climates and growing conditions, but these varieties are developed using traditional breeding methods that involve two parent plants that are crossed using their flowers. 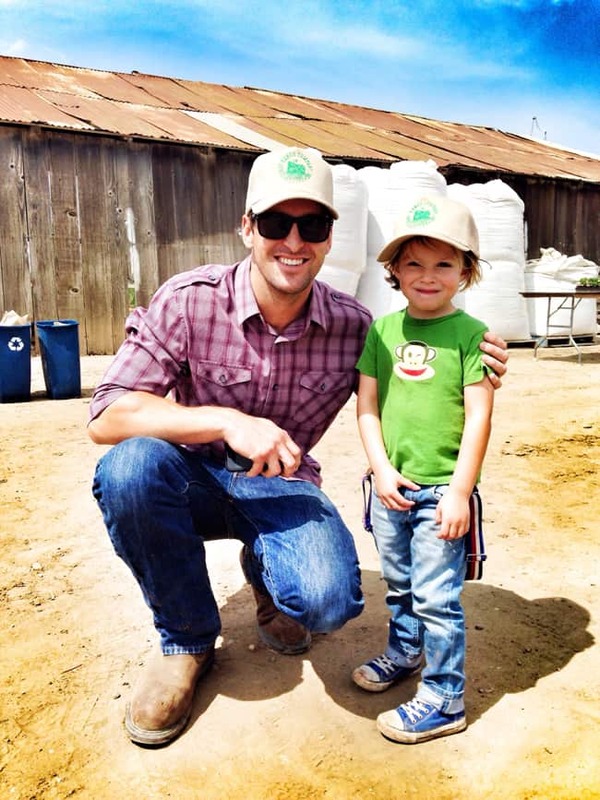 by the end of the day, Vann was in awe of the farmers. they really know their stuff. growing strawberries is more technical than i would have ever imagined…and they do a great job. 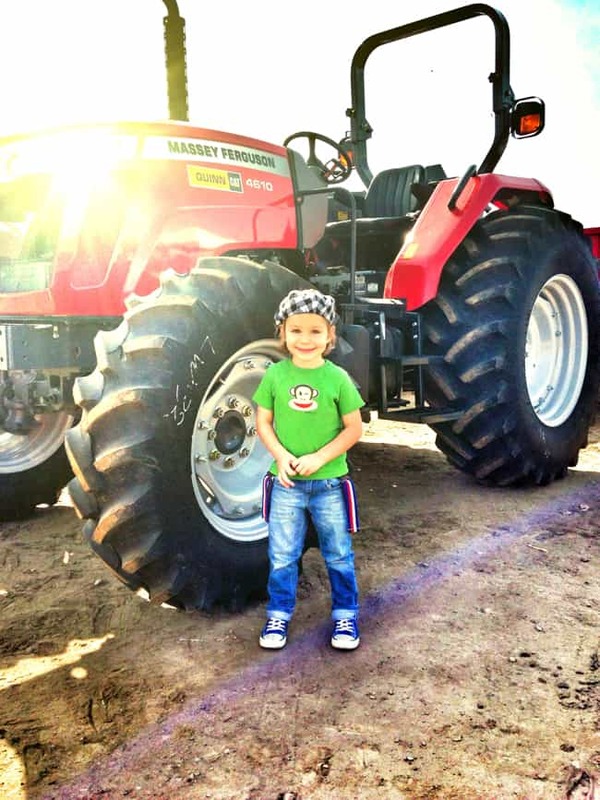 Vann told me he wanted to be a farmer when he grows up. i could get used to having fresh strawberries all the time. 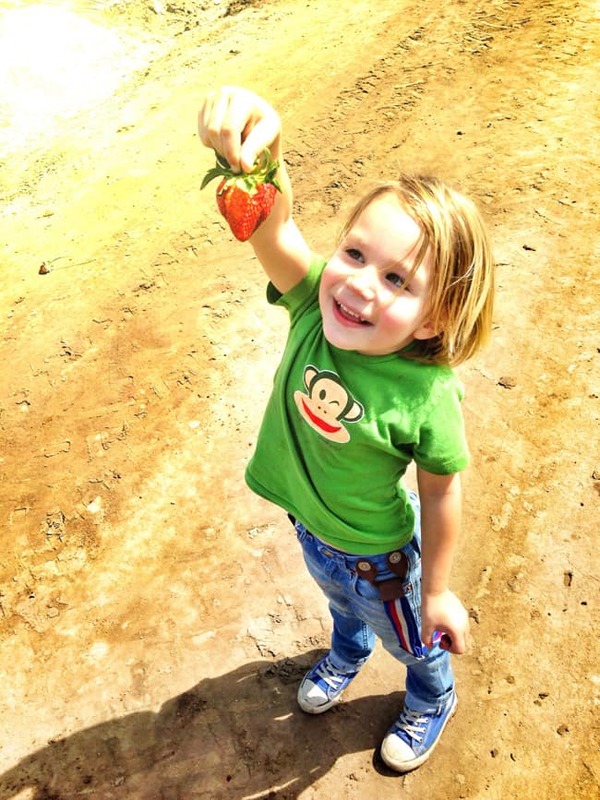 but i would have to say…eating the strawberries was the best part. and i haven’t even shown you all the yummy food. you can use strawberries for appetizers, entrees, dessert and even ketchup. i will be sharing all about the food in another post. it was a good good day! touring the strawberry fields was really incredible. you can take a peek at the events of the day here. 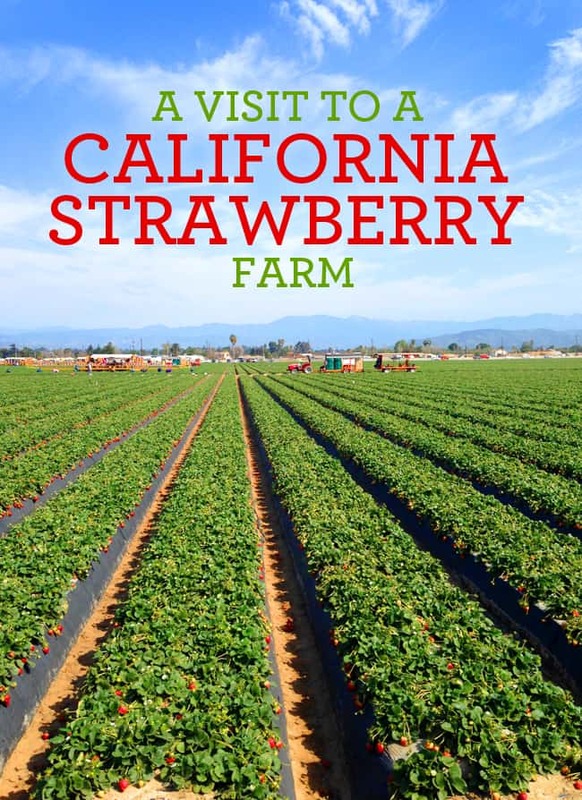 or head over to the official California Strawberries website for more strawberry facts and some amazing recipes. How very cool! We started growing berries last year (60+ Plants). I can’t imagine the work it takes to run a farm this big!